Do You Need the Flu Shot If You Have Heart Disease? Did you know those who have heart disease are especially at risk of suffering complications from the flu? The best way to avoid the flu is a flu shot, but is a flu shot safe for those with heart disease? The short answer is yes. We all know, by now, that the flu can be more than annoying — the World Health Organization shares that three to five million people across the globe develop severe influenza symptoms each year, leading to up to 650,000 deaths. While the risks of severe complications from the flu are higher in less developed countries, groups identified as especially vulnerable are most vulnerable in industrialized nations. 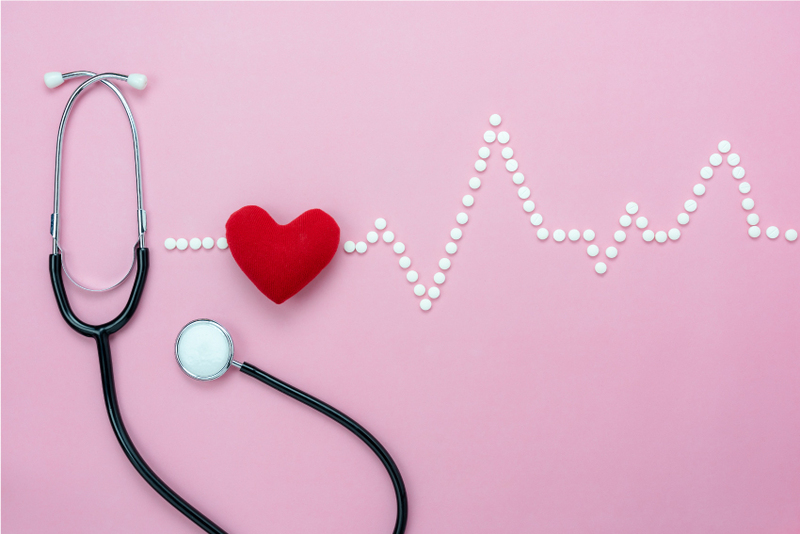 If you have heart disease — like heart failure, Peripheral Arterial Disease, coronary artery disease, or you have had a heart attack — you are vulnerable to the flu. Should people who have a heart disease get a flu shot? Yes! The CDC advises anyone who is over six months old to get a flu shot, but it is vital for people who belong to at-risk groups. People who have heart disease have a significantly higher risk of developing complications from the flu — like respiratory failure, pneumonia, and even death. The flu can drastically worsen the symptoms of pre-existing conditions like heart failure, diabetes, and asthma. In the 2017/2018 influenza season alone, roughly half of the adults who had be hospitalized — which means they suffered a complication — had heart disease. People with heart disease are about as vulnerable as one can get, in other words, so preventing the flu should be a top priority. What is the best way to stay safe from the flu? Yes, you can try to stay away from sick people, wash your hands often, and avoid touching your face with hands that may have come into conact with a flu virus. There is no better protection against the flu than vaccination, however. The flu shot: Can heart disease patients receive it safely? Yes, it is safe as well as important to get a flu shot if you have heart disease. Studies have revealed that getting a flu shot doesn’t merely lower your risk of catching the flu; if you do still catch the flu, it also reduces your risk of getting severe complications. Some studies have even shown that flu shots could cut your risk of suffering from certain heart-disease related health outcomes. A year after the study, their risk of a serious cardiac events — like heart failure, heart attack, and stroke — had reduced by 36 percent. Patients who recently had a heart attack cut their risk of a serious cardiac event by about half. There are some things to keep in mind, though. When people talk about "the flu shot", they can be referring to quite a few different vaccines. These include recombinant influenza vaccines inactivated influenza vaccines, which are injected. The injectable type of flu vaccines, that is, the "shots", are safe for heart disease patients. The nasal spray flu vaccine — containing viruses that are alive but weakened — are, on the other hand, not recommended for heart disease patients. You can contact your physician and ask them which flu shot is the best option for you. While a flu shot doesn’t ensure that you don’t catch the flu, it does make it about 60 percent less likely that you will develop influenza. However, if you do still catch the flu you will notice your symptoms are not as serious and your risk of getting complications are reduced. What are the other ways to avoid the flu? Besides the flu shot, there are still some other ways to help you avoid the flu. You should wash your hands frequently, both after shaking someone’s hand and after you touch public surfaces. You shouldn’t touch your face if you haven’t washed your hands, as this is the way germs get into your body — through your eyes, mouth, and nose. Another way the flu can spread is through people, so you should avoid people who are sick. You can let your friends, co-workers, or roommates know that you are especially vulnerable to the flu, so that they can avoid you when they are ill. You can ask people you have frequent contact with to get a flu shot too — if they don't catch the flu, you can't get it from them. Heart disease patients should also get a pneumococcal vaccine, a vaccine that lowers your risk of suffering complications like pneumonia, bloodstream infections, and meningitis if you do catch the flu. I have the symptoms of the flu and have heart disease what should I do? If you think you have the flu, don’t stop taking medicines that you are already taking for your heart disease. Instead make sure to go to your physician as soon as you notice nasal congestion, weakness, body aches, your breathing changes, coughing, a sore throat, or other flu-like symptoms that worry you. If you got your flu shot before this, you should still head to your physician even though getting a flu shot lessens your risk of getting complications. A great way to reduce the duration of your symptoms as well as lowering your risk of complications is to take antiviral drugs. However, if you do want to take these antiviral drugs — like amantadine, Oseltamivir, and zanamivir — you need to be fast. You need to take them within the first 48 hours of the first hint of your symptoms, and this is a compelling reason to see your physician right away.